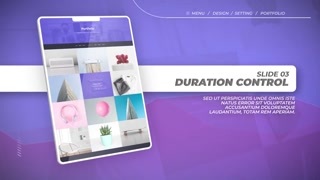 Search Results for "web site"
Woman at Home Laying on a Couch using Laptop Computer with Green Mock-up Screen. Girl Typing on Computer, Browsing Internet, Doing e-Shopping. Point of View Camera Shot. Closeup of a woman holding a modern phone with a green screen while interacting with the screen in vertical view. 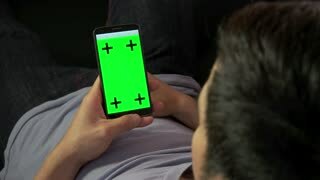 Woman lying on a sofa holding a modern phone with a green screen without interacting with the screen in vertical view. Woman lying on a sofa holding a modern phone with a green screen while interacting with the screen in vertical view. Woman sitting on a sofa with a modern phone in her hand with a green screen watching her phone in vertical view while interacting with it. Woman sitting on a sofa with a modern phone in her hand with a green screen watching her phone in vertical view but not interacting with it. Closeup of a woman holding an modern phone with green screen without interacting with the screen in vertical view. Close-up of Social Like Icon With Counter on Web Site Quickly Increasing. 3d Animation. Front view. Business and Technology Concept. .
Man at Home Laying on a Couch Using with Green Mock-up Screen Laptop Computer. Guy Using Laptop Device, Browsing Internet, Watching Content, Videos. Young Woman at Home Resting on a Couch using with Green Mock-up Screen Smartphone. Girl Using Chroma Key Mobile Phone, Internet Browsing, Posting on Social Networks. Point of View Camera Shot. Woman at Home Lying on a Couch Working on Laptop Computer with Green Mock-up Screen. Girl Using Computer for Internet and Social Networks Browsing. Over the Shoulder Camera Shot. Evening at Home: Young Woman Resting on a Couch using with White Mock-up Screen Laptop Computer. Girl Using Chroma Key Notebook for Internet Browsing, Posting on Social Networks. Evening at Home: Young Woman Resting on a Couch using with White Mock-up Screen Smartphone. Girl Using Chroma Key Mobile Phone in Landscape Horizontal Mode, Internet Browsing, Posting on Social Networks. Evening at Home: Young Woman Resting on a Couch using with White Mock-up Screen Smartphone. Girl Using Chroma Key Mobile Phone, Internet Browsing, Posting on Social Networks. African American man using a cell phone to browse an app. Dad works in a tablet outside, distracted by a daughter who jumps. A man working in a tablet on a bench in a cafe in the city center. Includes Audio: Handsome Successful Man Uses Personal Computer at Home Looks at Camera With a Smile, Says: "I Just found This Web Site. It's So Amazing!" and Points at the Screen. Man exploring Tesla company site using tablet pc in cafe. Knitting alphabet abc letter R in red color on white background. Christmas or New Year concept for banner, card, billboard, print or web site. 2D cartoon animation in 4K. Knitting alphabet abc letter I in red color on white background. Christmas or New Year concept for banner, card, billboard, print or web site. 2D cartoon animation in 4K.